Have you received a Careless Driving, Stunt Driving, Speeding Ticket, Driving under Suspension, No Insurance, or any other traffic ticket in Waterloo, Ontario? We can help you. Give Ticket Defenders®* a call today for your free, no-obligation consultation. Our ultimate goal is to have all your charges withdrawn or dismissed. If this is not possible, we will try our best to get your charges reduced to a lesser offence, saving you demerit points and increases in your insurance premium. Going to Court is stressful, and our talented paralegals will be there with you every step of the way. In cases where you do not need to be present in Court, our agents will go to court to fight for you. Do not simply pay that traffic ticket and incur demerit points or attract increased insurance premiums. Any traffic charge can be fought! 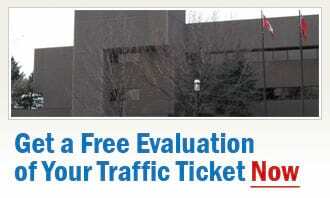 Count on our traffic experts in Waterloo for an honest evaluation of your specific case, and for the best advice on what can be done to get you the best outcome possible.